When you're onto to something good, you might as well keep on ongoing with it and Sony's Singstar franchise are those games. For those unfamiliar of the SingStar franchise, it basically turns your PlayStation 2 into a fully interactive Karaoke machine that gives you scores and also allows for duets and challenges with other players. This incarnation of Singstar entitled Rock Ballads allows you to experience the classic rock his since the 80's and best of all, Singstar provides gamers the chance to sing their favourite tunes in order to live out their Rockstar dreams. 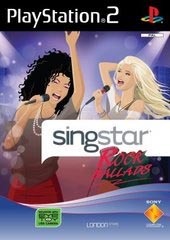 This current incarnation of SingStar Rock Ballads allows gamers to sing songs from rockettes such as Avril Lavigne and Anastacia which gives this game that tree modern feel. Even if you're not a huge singing star, SingStar does offer the gameplay an amount of leeway, ensuring that gamers and even non-gamers to pickup this title and start singing. 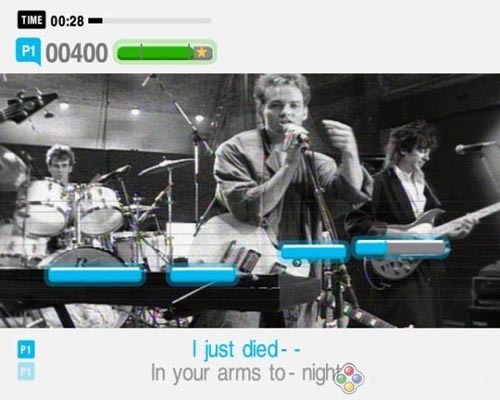 Graphically, SingStar looks like a graphic equalizer mixed with a music video that does the job quite well. The star of the show is the music which is exceptionally clear and crisp and I would advise a decent speaker setup to truly enjoy this title, especially if you have a group of friends around. In conclusion, SingStar Rock Ballads is one of the better versions on the PlayStation that offers a variety of different music genres that everyone should be able to pick their favourites. Grab the microphone and go out and SingStar now!